Note: Some ISPs have configured their SMTP servers to never allow sending messages from another network. In this case you can ask the administrator of the network you are connected to (in our example that would be the administrator of the hotel network) for their SMTP server settings or use the web mail provided by your ISP instead. 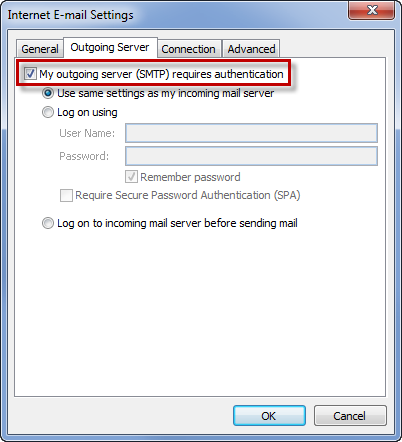 Enable authentication for your SMTP server.